Are you an introvert? Introverts get a bad reputation sometimes because many people don’t understand what an introvert really is. An introvert draws their energy from within. They need alone time to recharge and focus. Social situations can be draining for them. There are so many things clamoring for attention. These qualities can make an introvert appear shy or fearful, when that is often not the case. 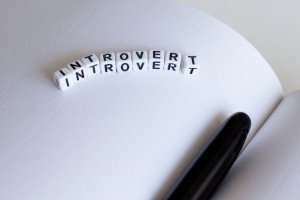 Introverts favor deep connection. Introverted people find talking to many people draining. In smaller settings, they shine. That’s because introverts favor creating meaningful connections with people. This is ideal for an entrepreneur. You want to make your customers feel special and heard. Introverts are especially talented at this. Introverts work well alone. Working by yourself can be very difficult. If you already have a natural predisposition to working alone it can be easier. Introverts thrive when they have quality alone time. If you can turn that time into successful work, you can be a great entrepreneur. Introverts take time to process. Processing information takes a little longer for an introvert. They like to think things through and look at all the facts. They also take in more from their environment. Entrepreneurs also need to pay attention and think solutions through. After all, they are the ones making the decisions, so they have to be right. If you’re an introvert looking for an opportunity, we have several. Contact me today to find out more!